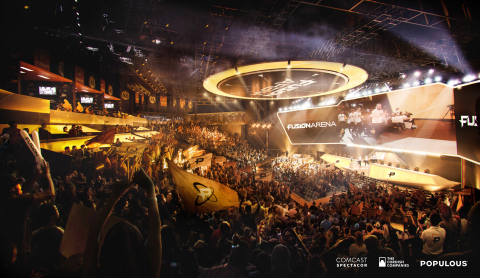 PHILADELPHIA--(BUSINESS WIRE)--Comcast Spectacor and The Cordish Companies today announced plans for a $50 million, next-generation esports and entertainment venue in the heart of the Philadelphia Sports Complex. Adjacent to Xfinity Live!, the first-of-its-kind venue will seat up to 3,500 guests and stand as the largest new-construction, purpose-built esports arena in the Western Hemisphere. Its primary tenant, the Philadelphia Fusion esports franchise, is one of 20 international teams competing in the Overwatch League. 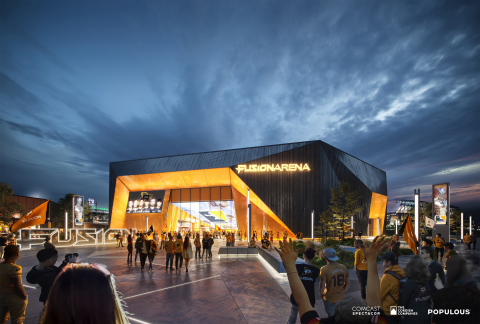 In addition to serving as a premiere destination for competitive gaming events, Fusion Arena will also host a variety of live entertainment programming and experiences.